BOSTON DANCE ALLIANCE builds capacity for dance by identifying and creating shared resources, information, and productive partnerships to help dance flourish across the Boston metropolitan area and New England region. We are an independent service organization representing dancers, choreographers, teachers, presenters, allied arts and cultural professionals, arts journalists and scholars, wellness and health providers, and dance enthusiasts brought together across dance genres and geographies. BDA strives to increase cultural equity and access to dance for diverse communities, build dance audiences, and promote quality and sustainability. Boston Dance Alliance’s services to our members and the broader dance community include a rentable, portable sprung wood floor, enabling dancers to present their work safely in any setting; an annual Dancewear Distribution initiative that provides shoes and clothing to financially disadvantaged dancers of all ages; an annual Open Call Audition that attracts dancers and choreographers across a variety of genres; Dancer Health Day, providing dancers with wellness screenings; access to affordable rehearsal space for choreographers at the Lyric Stage; fiscal sponsorship to aid unincorporated companies and dance projects in raising funds to support work that furthers BDA’s charitable mission; the Boston Dancemakers Residency in partnership with the Boston Center for the Arts; professional development consulting and workshops; information, referrals, and advocacy for dancers with disabilities; and the region’s most comprehensive dance calendar of performances, classes, workshops and auditions, with member discounts on tickets, dancewear, health and wellness services, and more. 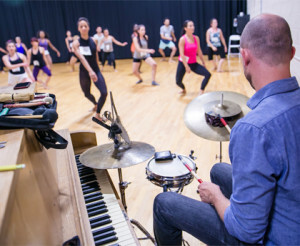 Acting as advocates for dance at the local, regional, and national level, Boston Dance Alliance encourages the dance community in turn to advocate for important cultural initiatives. Boston Dance Alliance is a proud member of MASSCreative, advocating for arts and culture across the Commonwealth. Boston Dance Alliance was honored to be named one of four statewide finalists for a 2017 Nonprofit Excellence Award in the Small Nonprofit category by the Massachusetts Nonprofit Network. Boston Dance Alliance is a member of Dance/USA’s Service Organization Council. Boston Dance Alliance is a registered 501(c)(3) charitable organization.